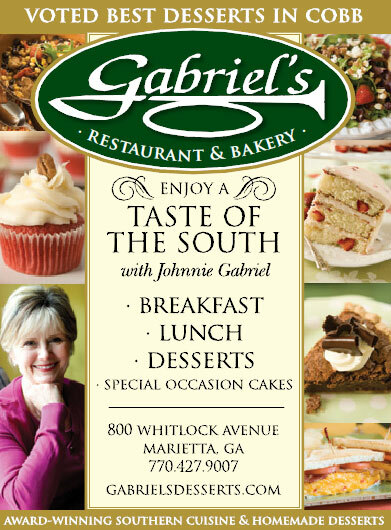 If you’ve tasted the best desserts in Atlanta, then you must already be familiar with Gabriel’s! In addition to creating incredible special occasion and wedding cakes, Gabriel’s Restaurant and Bakery serves home-made southern cuisine six days a week in their busy Marietta Restaurant. I was hired by owner Johnnie Gabriel in November 2009 to coordinate all marketing projects for the growing restaurant and bakery business and to increase traffic for breakfast and dinner. Within a few months, Gabriel’s realized the results of our new marketing efforts. We started an email newsletter that brought the restaurant immediate results and continues to bring in repeat business with each issue. Within a few weeks of starting the Facebook fan page, we had more than 800 active fans and now have over 2700 engaged fans online. We updated the look of Gabriel’s ads and marketing materials to make each one more effective. Our goal is to communicate more effectively with Gabriel’s current customers to keep them coming back more often and bringing in their friends and family for breakfast, lunch, dinner and dessert. 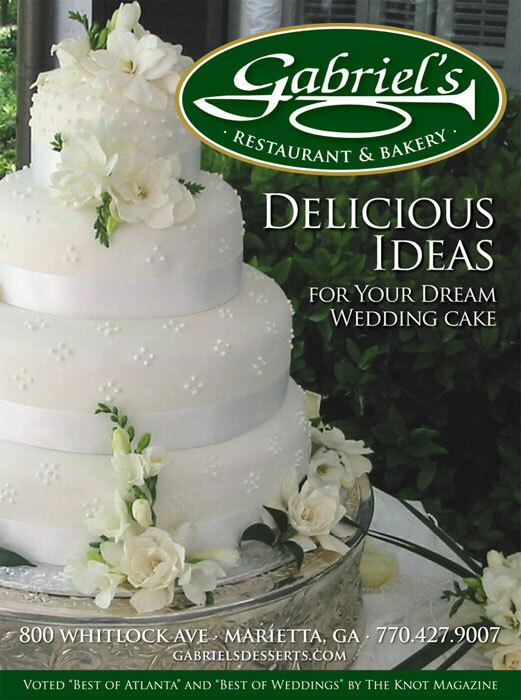 Phase II of our marketing plan will focus on growing Gabriel’s catering and wedding cake business. Finding Susan at The Creative Edge is one of the best things that has come to Gabriel’s. I knew that we had a terrific and in demand product. Our customers told us so! But our talents are in baking and cooking with no time left over to get the word out to the world the way a creative professional like Susan can. I knew we were lacking that one element that could put us over the top. I feel that we have a whole marketing “team” behind us now. Susan visits the store to find what we’re all about and at the same time has a good knowledge of what the public is looking for. I am amazed each week at the innovative, cost effective methods she’s using to put Gabriel’s over the top! Blessings and prosperity to you.